It's not that often that I add a beauty product to my holy grail/I can't live without list, but now is time. I agreed to try out the Dr. Paw Paw Balm a few weeks ago as I constantly suffer with really dry lips. Any kind of moisturising product I use on them works for a while, but without an hour or so, they end up feeling dry again. Based on previous kind of similar products, my expectations weren't particularly high. How wrong was I! 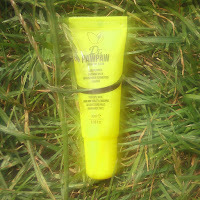 The Dr. Paw Paw balm comes in a lipgloss type tube in a summer Yellow colour, with black writing. My marketing brain says the branding and packaging is perfect, and the thing I love most about the packaging is that their social media icons are on the back so I could tweet and instagram photos straight away - which I did, obviously! "Our Pawpaw balms are made from a variety of natural ingredients including Pawpaw, Olive Oil and Aloe Vera Oil which, blended together, create a multi-purpose formula for you to carry around at all times thanks to the handy 25ml tube. Our main ingredient is fermented Pawpaw, the fruit of the plant Carica Papaya. The Pawpaw has been found to have many soothing properties for our skin and hair, making it a real ‘go to’ product. Our luscious paw paw balms can be used on lips, skin and hair – whatever your use for it, we guarantee you will be delighted with the satisfyingly smooth finish! Finally a brand that can live up to it's claims! The product can be squeezed out of the tube and then applied pretty much anywhere. I use it on my lips first then if there's any excess, I use it as a moisturiser and smooth it over my hands. When first applied it works as a great lip gloss too! As a lip balm, I couldn't recommend it more, and that's just based on one of it's many functions. The size of the product makes it perfect to take everywhere which is an added bonus. Luke is already stealing mine so I'll definitely be ordering more , one for every handbag so I never accidentally forget to swap it over! 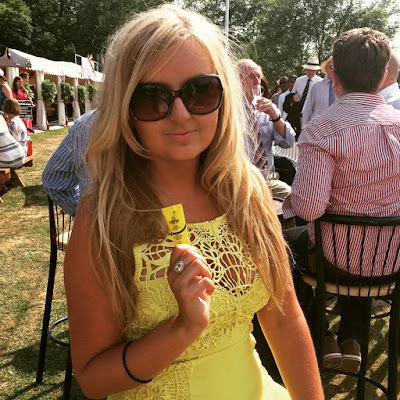 With my Dr. Paw Paw Balm at Henley Regatta - it's always in my bag! Dislikes - it's quite hard to get out the tube with my feeble hands! Would I buy myself: YES - everyone needs this product! I've never heard of this brand but I am always on the look out for a good moisturiser. I love the bright packaging!